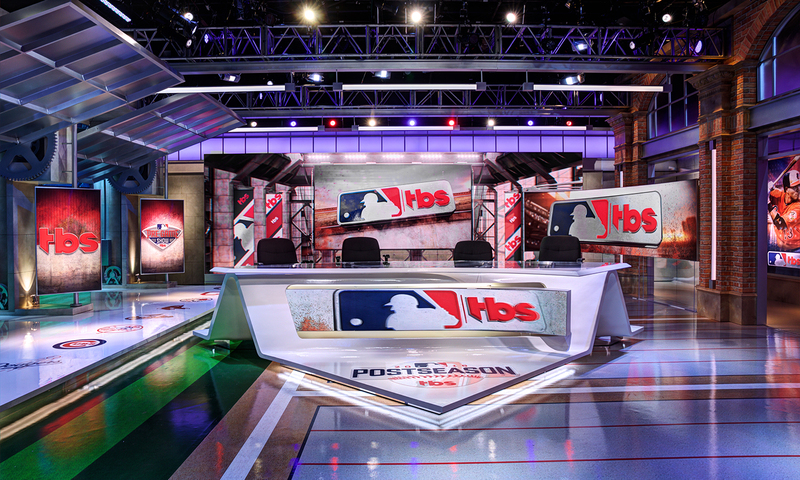 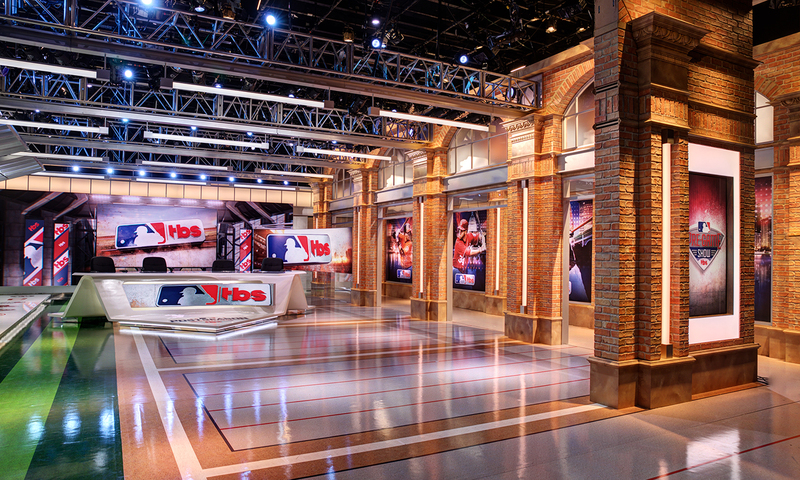 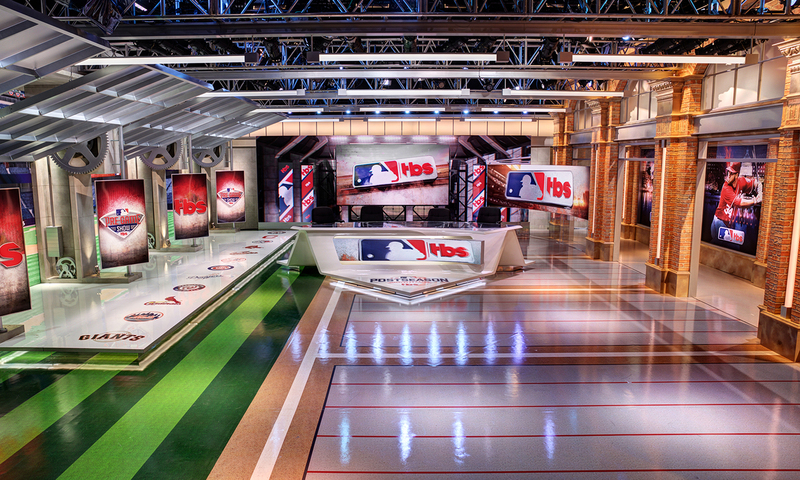 Inspired by the moment in architecture where the traditional meets modern, the TBS MLB Post-Season set offers an engaging juxtaposition of styles. 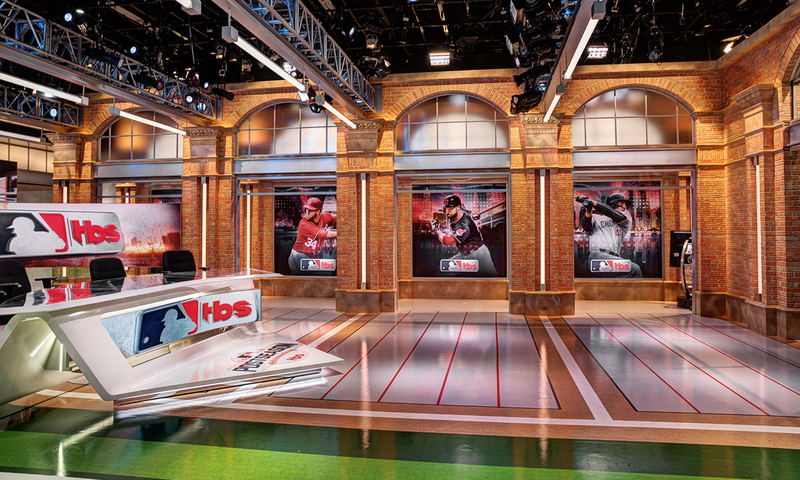 The audience is given a strong connection to a familiar place through the use of classic ballpark forms and materials — namely the warm brick arches that define one side of the studio. 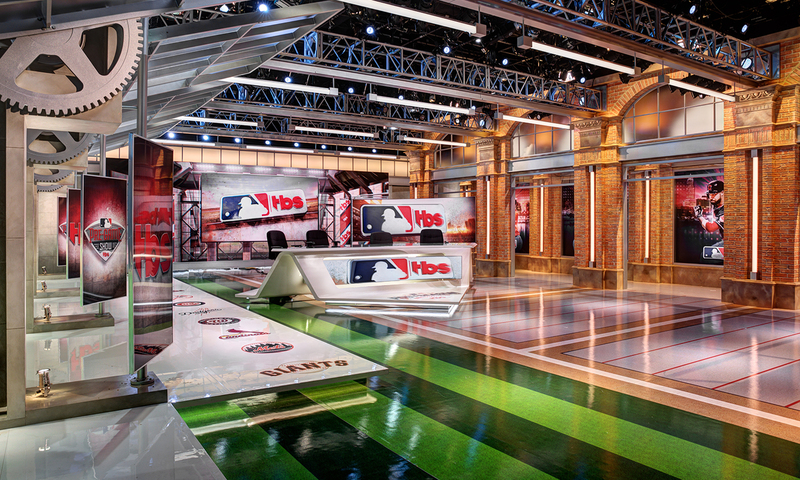 Opposite these arches, contrasting steel, glass, and exposed structural elements present a modern, technical, and clean aesthetic, and additionally reveal a direct view to on-field action via an expansive LED array. 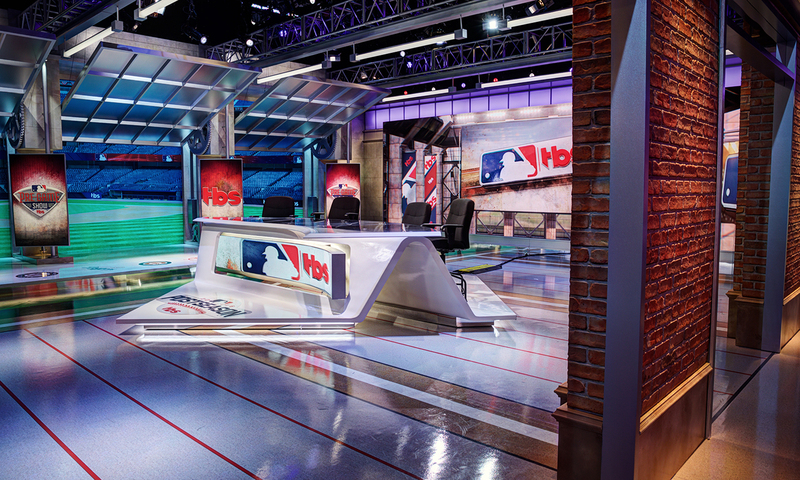 At the center of the space, an anchor desk recalling a folded base plate is intersected and surrounded by LED displays and adjacent to a series of pivoting story-telling monitors. 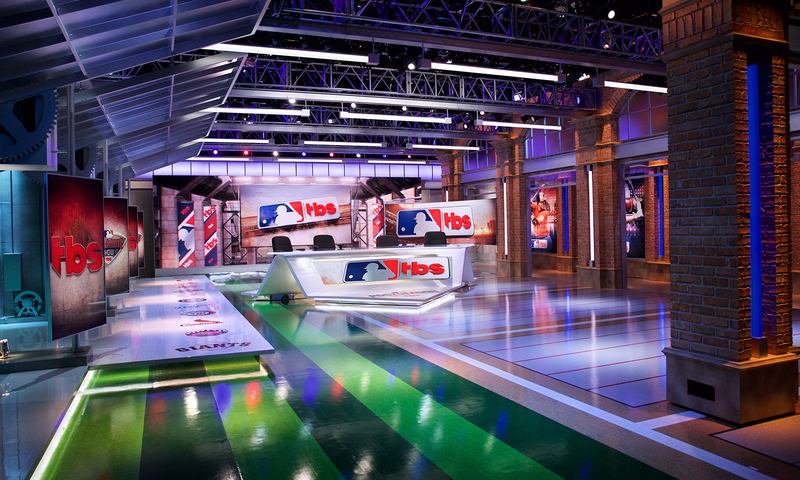 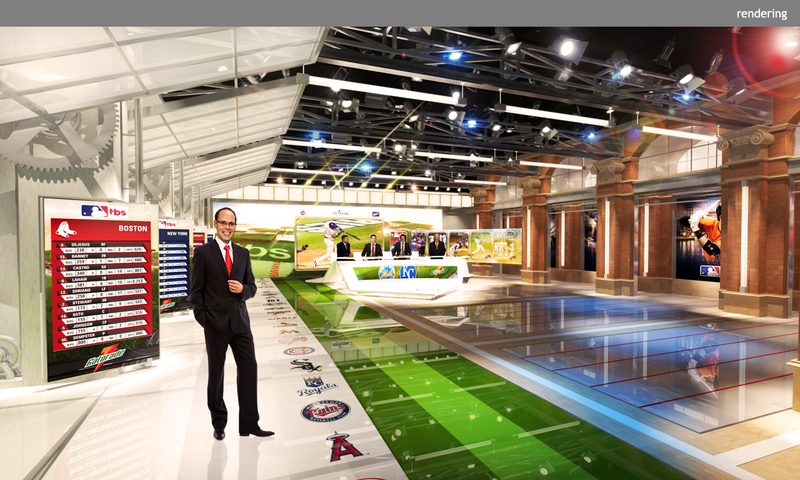 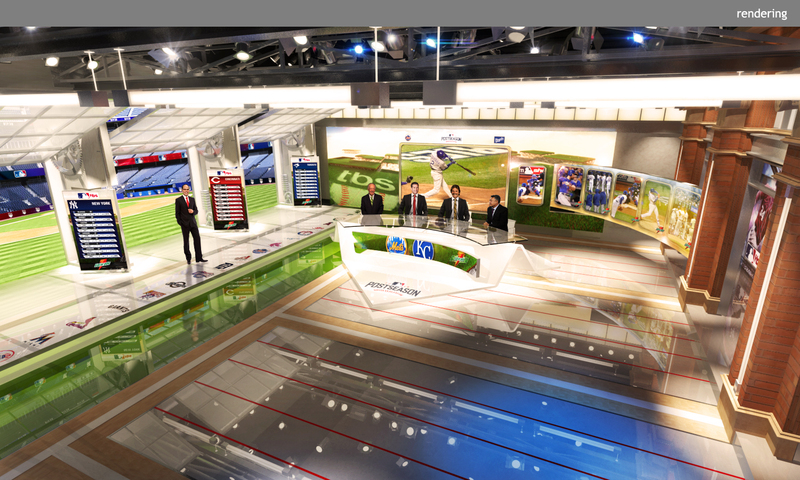 The studio’s technology is further complemented by the use of augmented reality, and all elements work together to give the viewer a unique, hard-hitting perspective on post-season coverage.